Look! Look! Catt Ford made me a pretty! When attorney Ben Winters’s close friend takes a bad spill and ends up in the hospital, he flies across the country to be there for her. His instant attraction to her brother takes him by surprise. Wanting Zack Anderson is easy; actually having him is a bad idea. While the two connect over concern for Zack’s sister, there are many reasons to fight the attraction brewing between them. 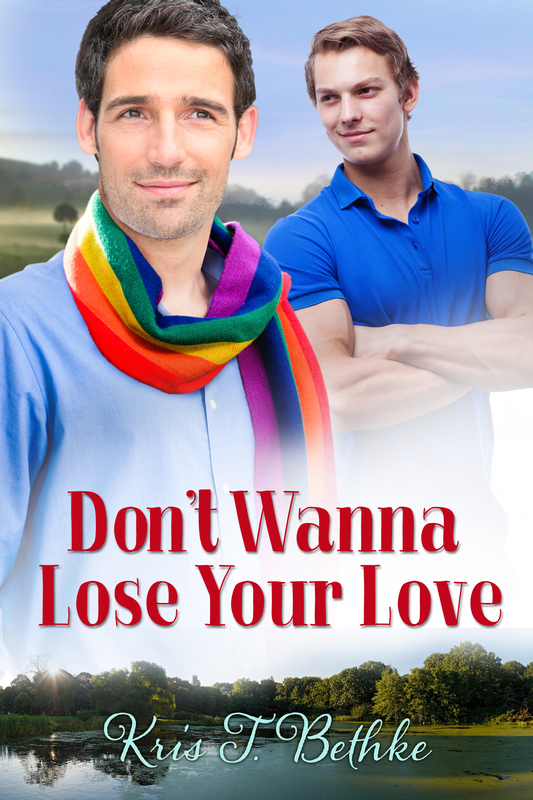 Things heat up as Ben’s friend begins to show improvement, but the reasons not to get involved with the younger man remain the same—long distance relationships never work, and Ben doesn’t do one night stands. But there’s one powerful reason to give in. Ben has never wanted anyone more. It’ll be up for individual sale on June 1st–direct from Dreamspinner Press or from your favorite third party seller. But if you’re of a mind to get an awesome deal on the whole package, and get a story a day for the month of June, head on over to DsP right now and get this year’s Daily Dose. So there’s stuff going on! It’s great! I’ve got some good news that I’m not quite ready to share yet, but I will be soon. Hopefully really soon. But I’m super excited about it and I’m trying to get everything settled before I shout about it. I’m just about ready to start writing the next book in the trilogy. You know, it’s funny. When I wrote Something Like Hope I intended it to be a single title. I had not thoughts, for once, about writing a series. It wasn’t going to happen. Then the Admiral started reading it and told me he wanted another character’s story. My first reaction was: “But he’s straight!” And then…oh. No he’s not and I know how and why. And that was going to be the second book. And then the other characters happened, and I realized quickly that no, that’s the third book and there’s another one in between (because the timing works out that way better) and a trilogy was born. Of which both remaining books are plotted. So I’m nearly ready to start getting those words on the page. Even though it’s the Admiral’s fault, I guess I can’t blame him too much. I’m looking forward to diving in to these other two books and telling these stories as well. Book number 2, Something Like Trust, is looking to be a long novella. Book number 3, Something Like Love, will probably be a little shorter, but still in the larger novella range. And after that? Well, there’s a couple of things that I have in the pipeline. A couple of ideas are swimming around, and though they are on hold until I get some books written, they are waiting patiently. I’m very glad they are. I’m on the verge. Of sharing good news, and starting a new WIP. Of it being a really great writing year. And of getting a new writing space that is sure to help the creative process even more! You know everything that’s been going on in Indiana. And that is just the latest example of idiocy and hurt and bigotry. So it’s time to push back. It’s time to support worthy, inclusive charities. Ones that are trying to make a difference in the lives of LGBTQ youths. 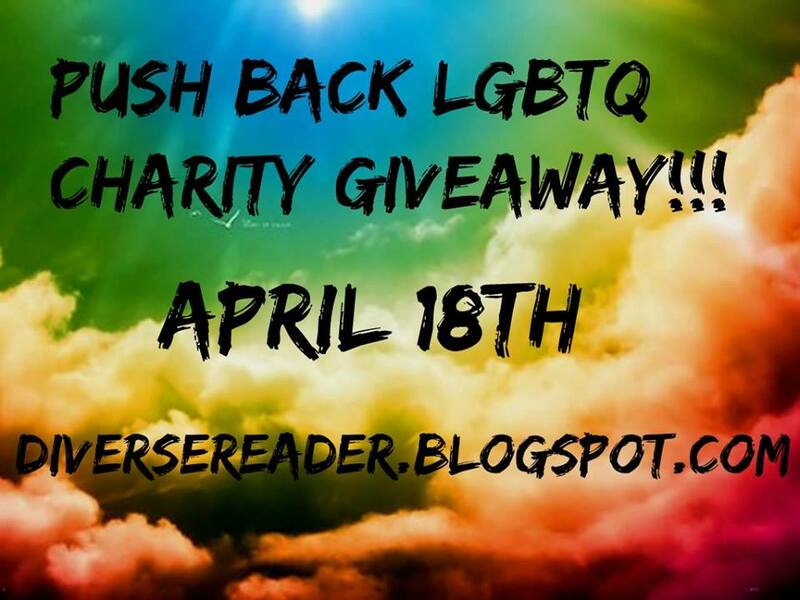 Head on over to Diverse Reader. Get the full story, and be entered in a chance to win. Donate a little money, donate a little time, let us know about it there, and you’ll go into the drawing for a book. There are 224 participating authors and bloggers, so that’s a lot of fantastic prizes. It’s worth it, don’t you think? LGBTQ people, and the young ones in particular, really need help. They can’t wait for laws to change and so we need to do our part now. Seriously, get involved. Want to see who’s all involved in giving stuff away? Check out the video to see a list of names of authors and bloggers who have donated a book as thanks for you getting involved. Let’s make a difference. Every little bit helps.